Shortly after voting to adopt an 18.6-cent real estate tax rate, a slight increase, for fiscal year 2017 Monday night, Leesburg Town Council members indicated where their preferences may lie for a final budget through a series of non-binding votes. The council is scheduled to hold a public hearing on the proposed $94 million budget tonight, and all indications are that a final vote on the budget will follow. Councilwoman Katie Hammler made the motion for a rate of 18.6-cent per $100 of assessed value, below Town Manager Kaj Dentler’s proposed 18.72-cent tax rate. Hammler’s proposal was to adopt the equalized tax rate, aimed at keeping tax bills level for homeowners on average. The current town tax rate is 18.3 cents. In addition to the equalized tax rate, Dentler had proposed factoring for inflation by adding 0.12 cents. In his February budget presentation, Dentler noted that this was the first time that the proposed tax rate included an inflation factor. The approach, he said, would better account for operating costs. Council members Marty Martinez and Tom Dunn voted against the tax rate Monday. Dunn offered an amendment to Hammler’s motion to go to a 17.75-cent tax rate, a proposal that was not accepted by Hammler. The 18.6-cent tax rate will require an $82,000 reduction from the proposed $94 million budget. The straw votes taken Monday night that garnered the support of at least three council members will likely be prominent points raised for discussion Tuesday night. Hammler was absent for the Monday straw votes. a proposal by Vice Mayor Kelly Burk to end the town’s lease of Olde Izaak Walton Park. The town is about halfway through a 30-year lease it signed with the park’s owner. While the revenue it generates through Parks and Recreation Department programs in the park’s main building offsets all but $19,000 of the annual cost, taking into account taxes and utility fees, Burk said that the high cost of maintaining the park’s large pond, building and parking area is a concern. She said the dog park could be moved to Ida Lee Park, or elsewhere in town. In addition to Burk, council members Tom Dunn and Bruce Gemmill indicated support for ending the lease. a proposal by Gemmill to move the Economic Development Department and its two staff members out of the Mason Enterprise Center and into Town Hall. Gemmill suggested that the $22,000 the town pays to lease space in the incubator could be re-leased to other business tenants. a proposal by Burk to initiate an Environmental Advisory Commission recommendation to install electronic metering systems in the town government’s six highest-usage buildings to monitor energy consumption. While the program set-up costs would total around $50,000, commissioners report that typical programs soon net a municipality savings when opportunities for better energy efficiency are identified. Burk, along with Mayor David Butler and council members Marty Martinez and Suzanne Fox indicated support. a proposal by Butler to increase local funding for the road milling and paving budget by $200,000, as the state of Virginia is expected to slash the amount it gives to the town and other localities for road maintenance. Burk and Martinez joined Butler in support of that addition. But after the straw vote, Butler said he may not bring that up for a final vote Tuesday night given that it could keep council members from achieving the savings required to balance the budget with the 18.6-cent real estate tax rate. The future of the Catoctin Skate Park expansion also was debated. Several straw votes were taken for different project scenarios. Gemmill, Fox and Dunn supported doing away with the skate park project, citing the escalating project costs. But there were four votes to move forward with plans to build a new Skate Park on a gravel lot near its current location on Catoctin Circle, a move that would allow the neighboring Loudoun County Volunteer Rescue Squad to expand. That move would cost an additional $150,000 in funding next year, which was part of the originally proposed project. Butler, Martinez, Burk and Dunn supported that vote. News Flash – Kelly Burk is trying to do away with the Dog Park at Isaac Walton as well as the facility where my daughter takes gymnastics. Two others Tom Dunn and the new guy also supported this stupid idea! Please show up tonight and tell Kelly Burk she is trying to ruin our Town!!! The article fails to note that the original cost of the skate park that was presented by staff last year was $545000, and it’s now going to be about $950,000 because of drainage requirements to move it to a new location on that site. Staff should have disclosed that cost last year when it told the Council the costs. It’s not $150,000 more — but nearly double! The proposed skate park is a complete and total waste of money and what the council needs to do is put it on hold and direct the Parks staff to come back with a skate park that costs $545,000 or LESS — all inclusive. They should ask what can be built on the existing pad, so you don’t have new drainage costs, and which ALSO allows land for Loudoun Rescue to expand (which is critical). 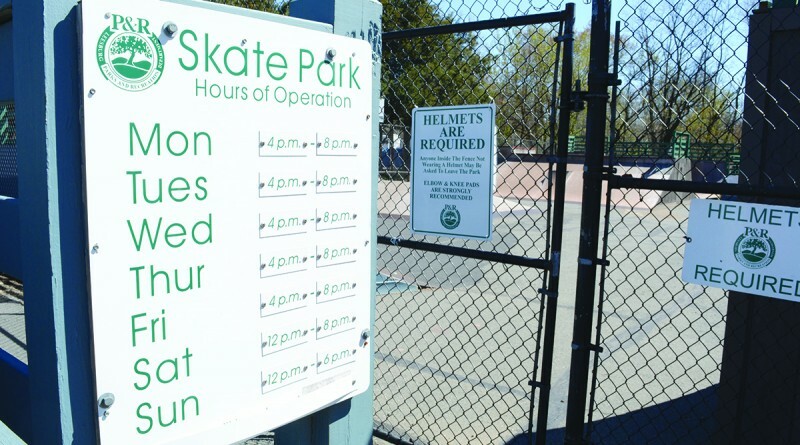 A fancy shmancy all-bells-and-whistles- free skatepark gains NOTHING for the town’s taxpayers, as non taxpayers will be allowed to use it and it will be free. The days when skate parks were needed to “keep kids from skating all over the place” are gone, as skateboarding is not as popular as it once was. But why the Council could not see to cutting more from this budget on the operating side is astounding. The town wastes money on milling and paving streets, the Balch Library (which gets few patrons), and they want some $80,000 to promote downtown businesses with some new app. (read the other article in Loudoun Now) Government should not be spending money to help some businesses and not others. The Board of Supervisors has raised our taxes (because they had to), but Leesburg taxes should NOT be raised — even if it’s only an average $10 — because none of these new additions are priority. I would like to make a small correction. Because the 18.6 cents is the equalized tax rate for Leesburg, the average homeowner’s tax bill will not increase. We will pay an extra $0 per year, not $10 as in the article. I agree with ending the Isaac Walton Lease and have the town investigate buying the land just for the dog park and maybe the building there for classes — though those classes can be offered somewhere else. The people who got the town into this lease have gotten a really sweet deal — probably earning more for that land than if they sold it to the town when the lease started (around 1999 or 2000, as I recall). As for the tax rate — the average bill is not the issue. what is the issue is the wasteful spending on mobile apps and funds to help downtown businesses, whereas neither the town, nor the county (to my knowledge) do this for any other private business. Why not do it for the Outlets or Village at Leesburg? It might behoove Mayor Butler to ask the County Economic Development Dept. or Visit Loudoun to find out if they have something like this already, and they might. We killed a very expensive wayfinding sign system in 2013 because Visit Loudoun wanted to devleop a mobile app instead — and it was much less expensive. If you cut that $80,000 out, you can have an 18.5 cent tax rate and give folks a break — not a great break, but a break and in an election year, that speaks well if you can do that. So, the Council should vote for reconsideration tonight with these cuts — but by all means, please put the skate park on hold and ask staff for a lower cost proposal. I understand the towns plans to save money by ending the lease for the Old Issaac Walton Park…..which makes sense to me. Although it won’t be very good for parents who take their kids there for various classes in the building. But as far as the dog park is concerned I won’t be sad to see it closed. Although the grounds are well maintained by Parks and Recreation; the dog park is not monitored at all. I used to take my dog there until she was attacked by an unaltered pit bull three times in the span of less than six months. People don’t follow the rules that are clearly posted on the gate so it’s basically a free for all.